If you are looking to find useful information relating to our products or would like to learn about simple ways of improving home and garden security then take a look at some of the pages below. Covering many subject such as choosing the right size, caring for the gate, general security advice and many other useful topics there is sure to be something of interest to any home improvement enthusiast looking to further their knowledge base. This easy to understand article contains information on how to select the correct gate size to suit a given requirement. Interested in replacing your garden fencing? Read this article to find out the variety of styles available to you. Looking for details on how to care for you new garden gates? Click here to find out what steps we recommend. This article looks at general garden security and the precautions you can take to reduce the chance of being targeted by criminals. Are all gates built to the same standard? 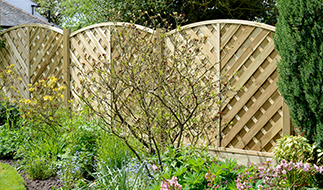 Click here to read details of what to look out for when selecting a quality wooden garden gate. Do you continually get animals and trespassers in your garden? Click here to find out easy ways to secure the boundary of your property. Looking to prolong the life of your metal gates? Take a look at this article showing the maintenance work you should be carrying out. Looking for a new garden gate but can`t decide between wood and metal? Read this article making a comparison of the two different materials. If you have recently purchased a new wooden gate we advise you to read this article detailing the maintenance aspects of the product. 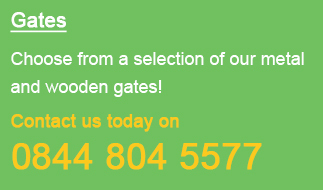 Need a gate for your home and garden but don’t know what to choose? Take a look at this page detailing ways to choose the right design. Automating gates on a DIY basis can pose many problems in terms of safety of the user. Click here to find out the hidden dangers. Need to install wall mounted timber posts to hang your gates from? Click here to find out the easiest way to install them on a DIY basis. Fitting a metal gate is easy and can be completed by any homeowner who has access to a few basic tools. Click here to find out the process. Read this article to learn the easiest way of installing new metal driveway gates to the main entrance of your property. If you have a requirement to install wooden posts into the ground we recommend you read this page showing the correct way to do so. What you need to know about Gate and Fence Security.